This months artist resource is Canva.com. This one is for the hard working freelance illustrator who might not be as well versed in graphic design and would like to present themselves in a professional manner, quickly. Sound like you? Check out Canva.com. You can find fully customizable logos, flyers, brochures, invitations, business cards and so much more! You don’t even need any software. You can customize all of the templates right on the website. You hear that my traditional artists?! Market yourself today with clean, sharp, well done graphic design and take more time on what really matters; your artwork. Even the seasoned graphic designer can come to Canva.com for some inspiration. Or, you just might not have the time to create something from scratch on a busy week. 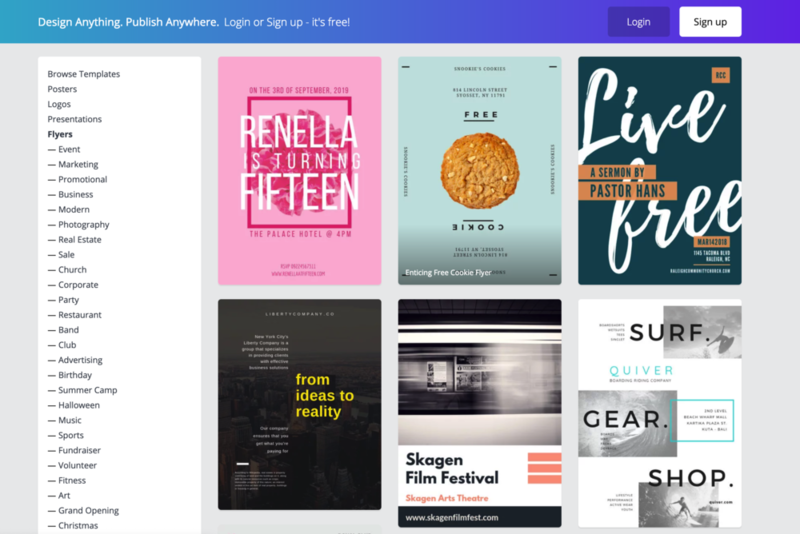 Boom, Canva has you covered. If you haven’t already, check out our sketchbooks and new swag in our shop!